Tomorrow the 21st of April is National Tea day and it is also the Queen's birthday too! So what better way to celebrate both occasions than with a Royal tea party? Of course, to have a royal tea party you need a tea set and some very special guests and luckily we were sent both, so that my very own Princess Sophia the first could celebrate. 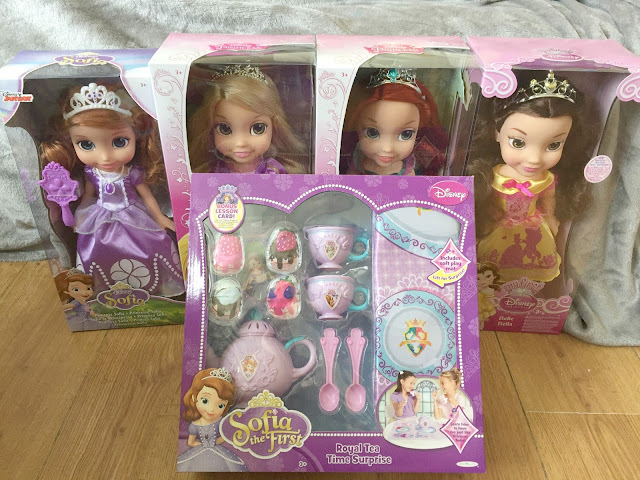 Jakks Toys very kindly sent my little princess a Sofia the first tea set and four extra special guests in the shape of four beautiful Disney Princess Toddler Dolls! 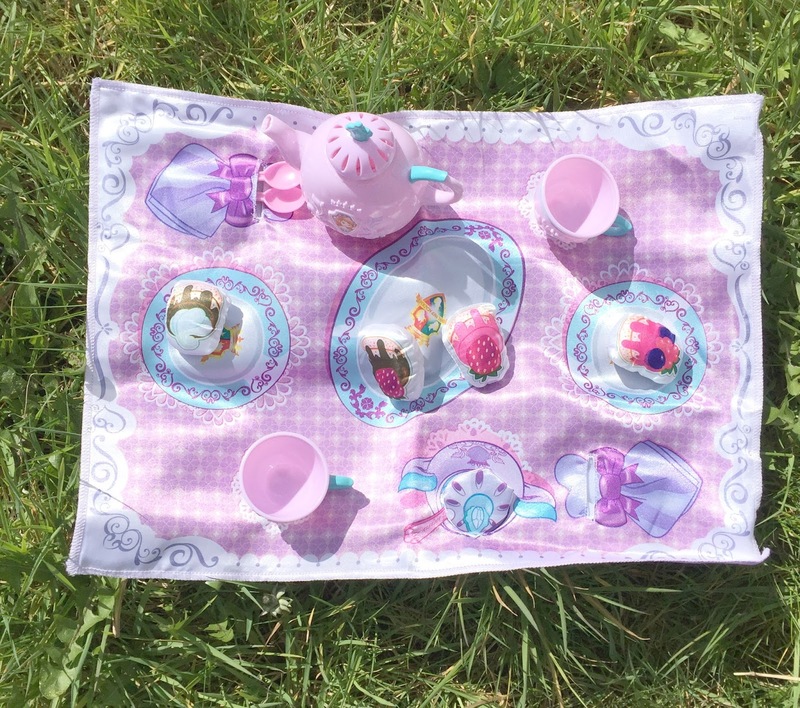 Perfect for my own toddler princess to play with and just right for a royal garden tea party. We were sent Rapunzel, Belle and Ariel the Disney princess toddler dolls (£19.99 each) are around 15" in height and they come with a special dress that is decorated with a beautiful scene from her own fairytale adventure. They also have matching sparkly jewel tiaras and her Royal Reflection eyes shine and shimmer with dreams of adventure and fun to share. They are perfect for little ones to play with and just the right size to cuddle and hold a tea party with. 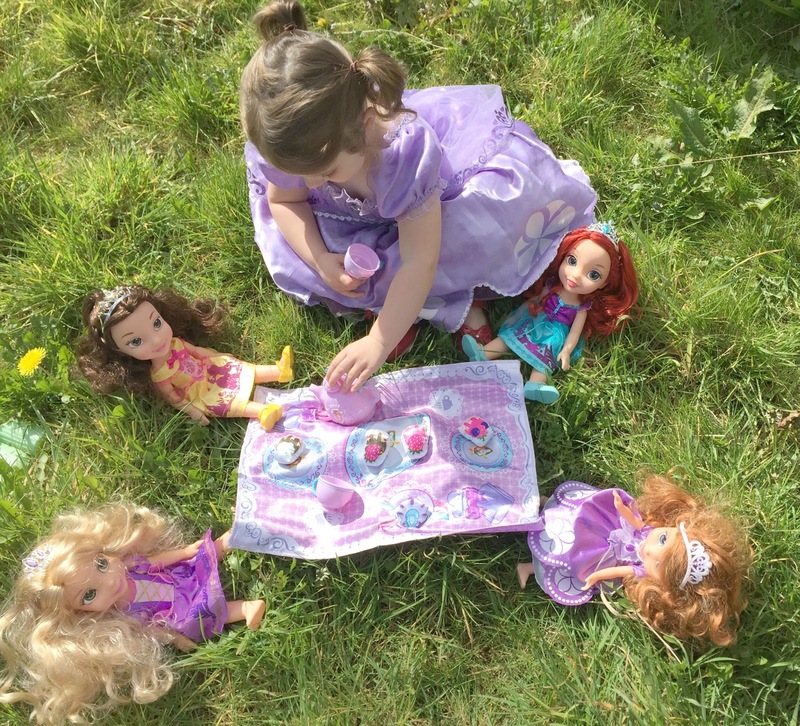 We were also sent a Sofia the first toddler doll (£24.99) which came wearing her trademark purple dress, her amulet, tiara and shoes. Sofia also came with a hairbrush which was a big hit with my daughter as she loves brushing the doll's hair. 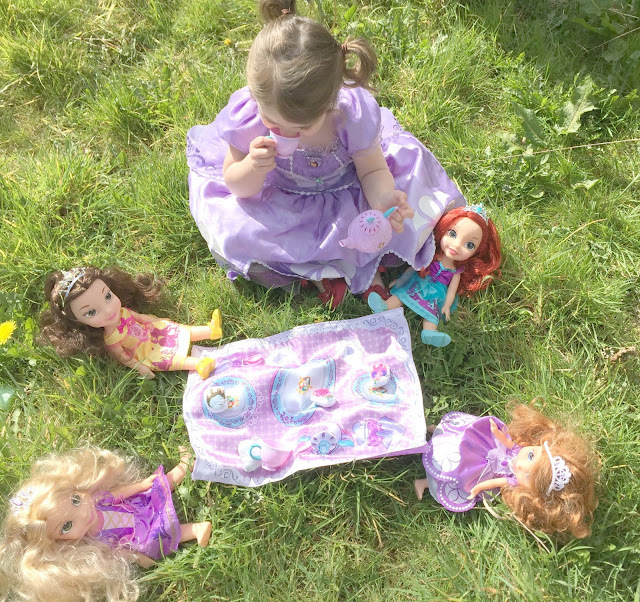 To complete the tea party we were sent a Sofia The First Tea set (£15.00) which came with a fabric picnic mat, teapot with lid, two teacups, two spoons and four fabric cakes. 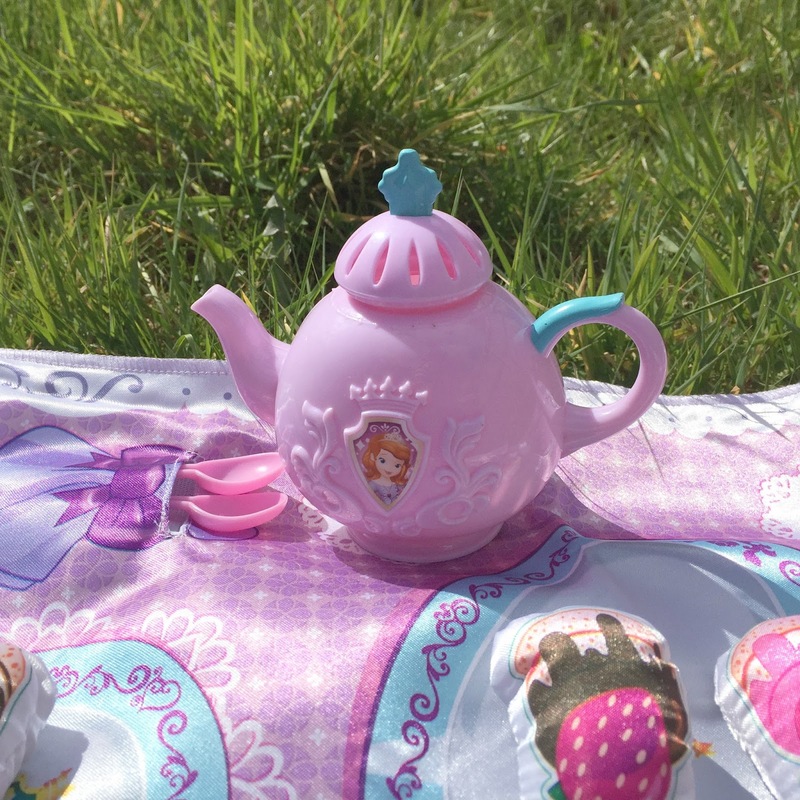 The tea set was lovely in the Sofia the first purple colour scheme and with little Sofia's on. My princess Sophia could not wait to get it out the box and start playing. As the weather is actually nice and sunny here in Newcastle for once we were able to have a garden tea party, which was lots of fun. My little princess decided to dress up for the royal tea party too in her Sofia dress so that she fitted in with the other four princesses at the tea party. Funnily enough, she looks like Sofia the first with her brown curls and big blue eyes. My little princess Sophia will be three in a few weeks and she is such a huge Disney Princess fan. Belle is her favourite and all she has asked for her birthday is Belle things, she could not believe her luck that she had a Belle doll. 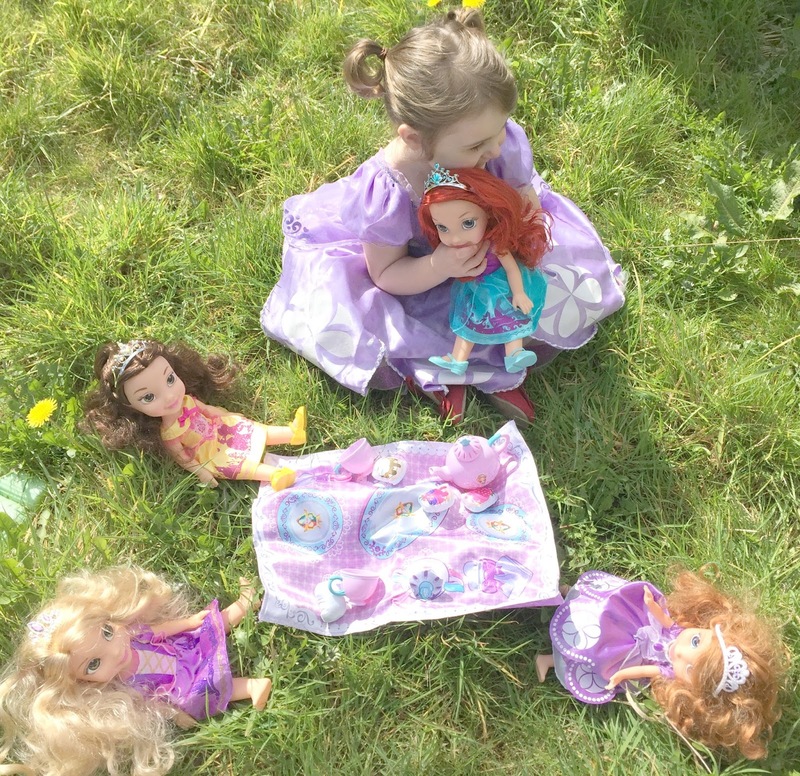 She is also really getting into role play lately and loved sitting have a tea party with her new princess friends. She was pouring them cups of tea and passing around cakes and lots of hugs and kisses too. 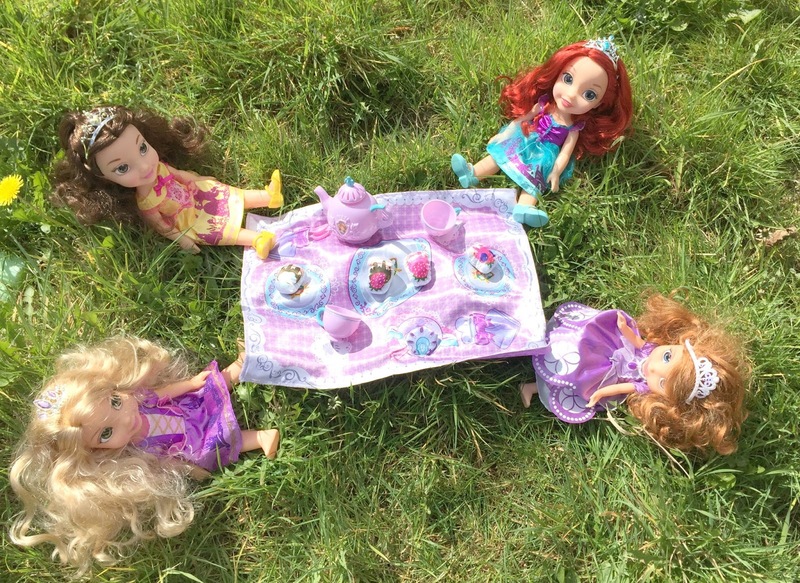 My princess Sophia, Sofia the first, Belle, Ariel and Rapunzel all had a lovely tea party in the sun. Sophia loves these dolls so much that I think we will be getting some more of the dolls from the collection for her birthday in a few weeks, as they also do other Disney princesses too. These dolls are perfect for little ones to play with as they are a great size, have no small parts that can be lost and most importantly they look great and are fun for little ones. Thank you Jakks toys we had a lovely time celebrating and will certainly be having more Royal tea party's with the Disney princesses in the future with our lovely new tea set. Will you be celebrating National Tea day tomorrow? Disclosure We were sent these dolls and tea set for the purpose of this review, however, all views and photographs are my own. How cute is that set. I use to love tea parties as a child and remember hsving a little China tea set. That is a little girl's dream. The ultimate tea party. What a lucky young lady. This is too cute! I love that your little girl dressed as a princess for the tea party. I didn't know it was national tea day today, but do have afternoon tea booked for next week so I'll celebrate it then! I didn't even know there was such thing as a National Tea day! 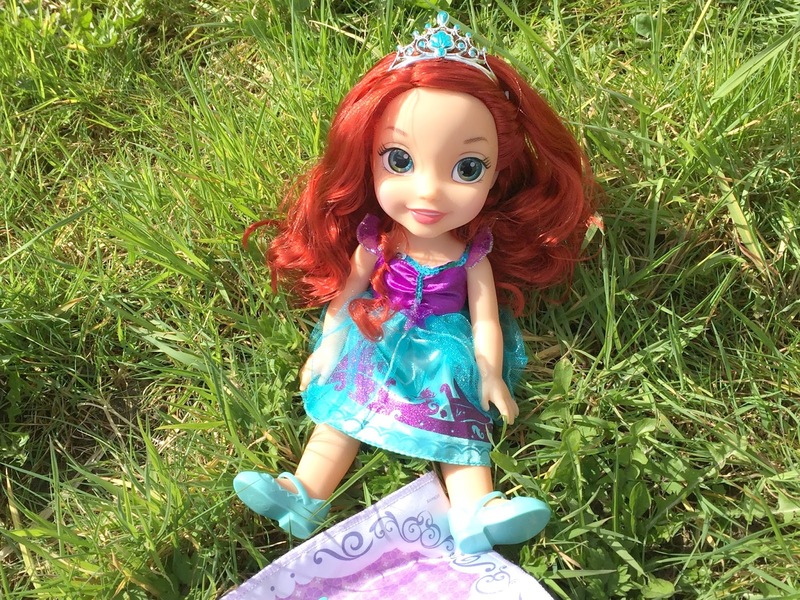 Looks like your little one has got the party started with Princess Sofia!